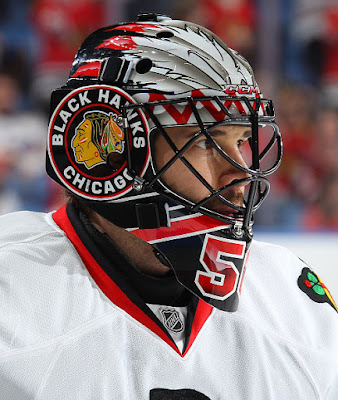 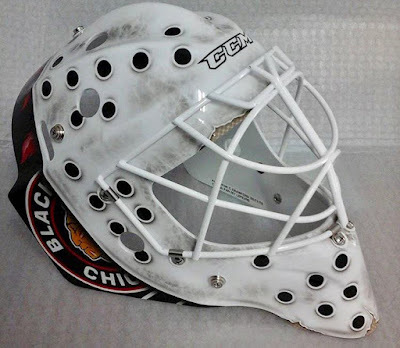 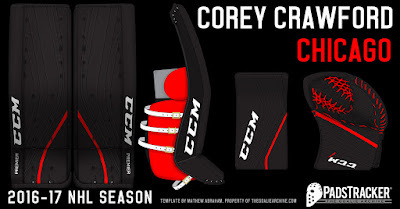 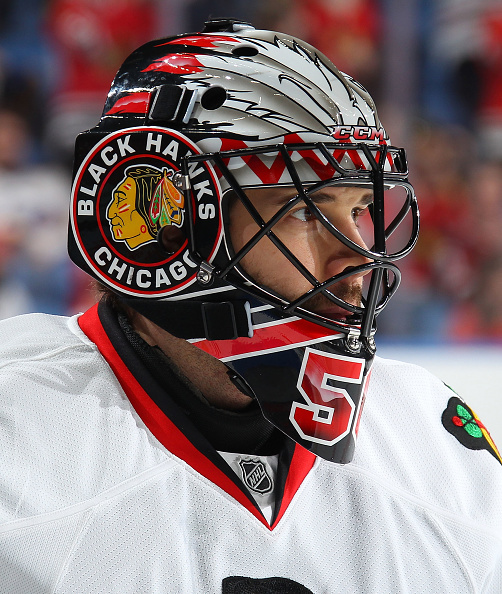 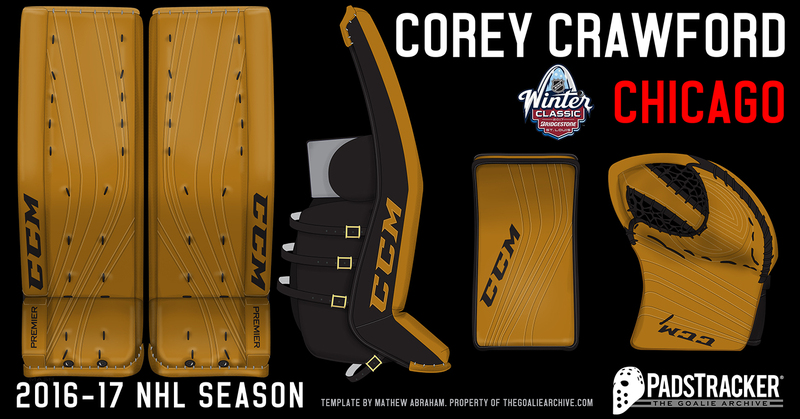 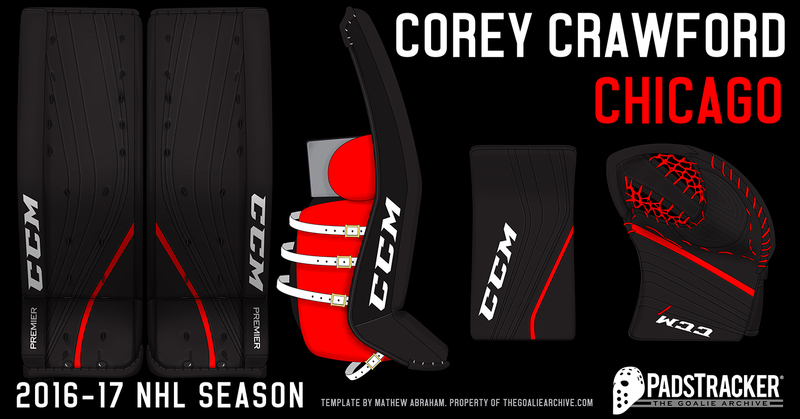 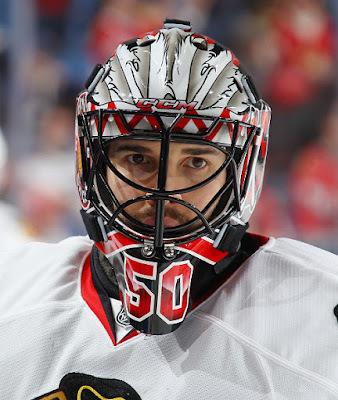 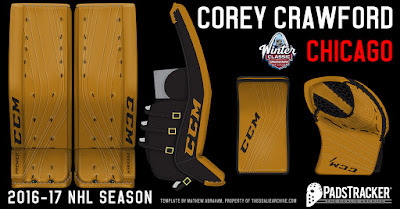 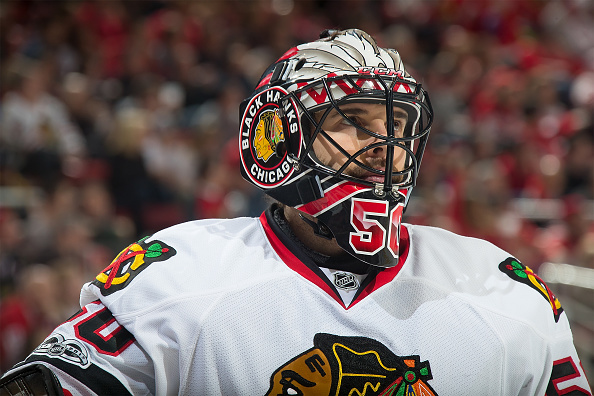 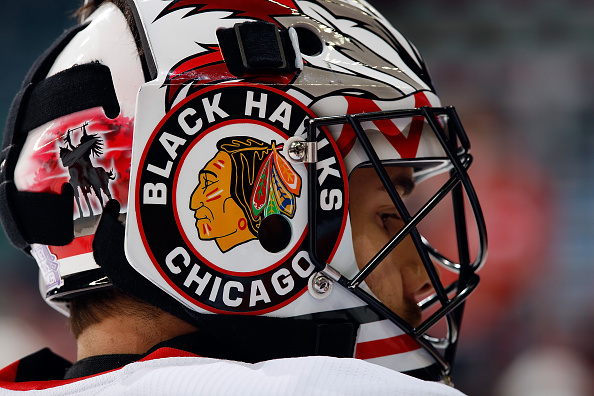 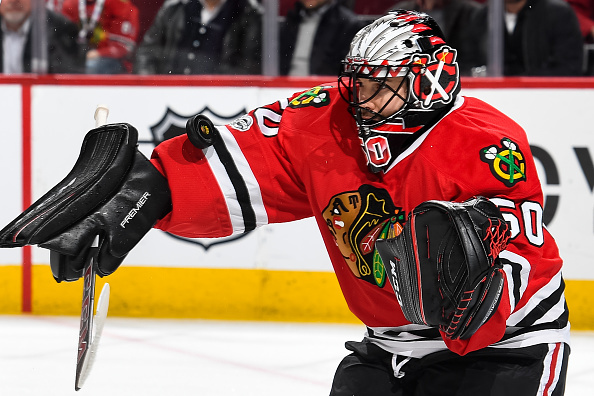 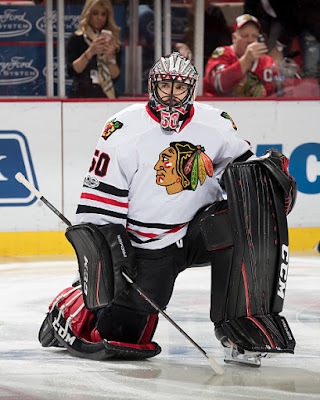 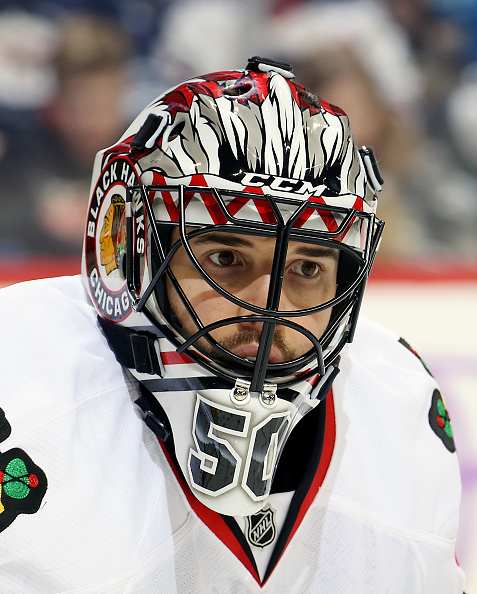 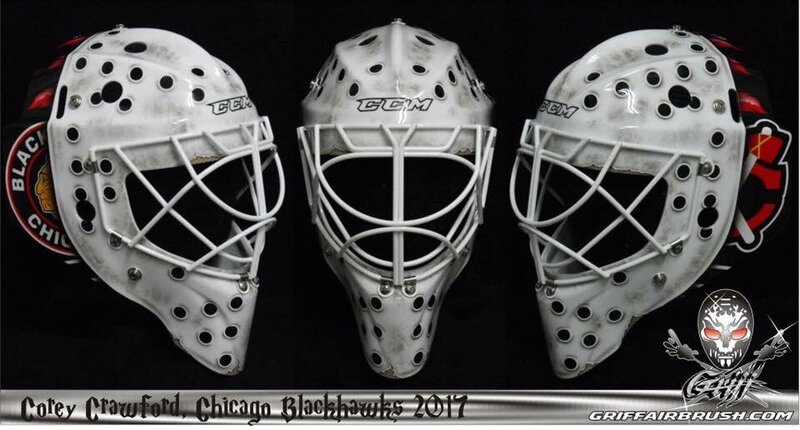 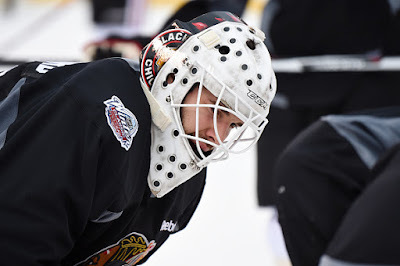 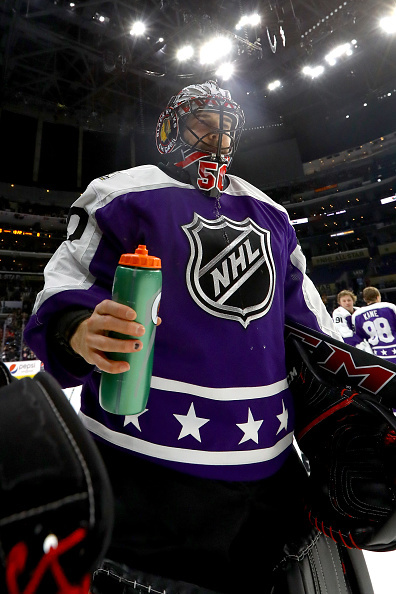 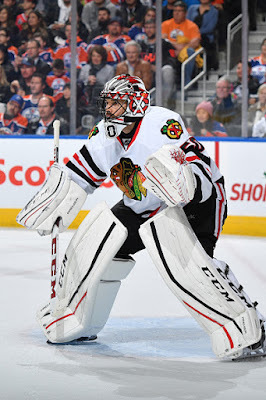 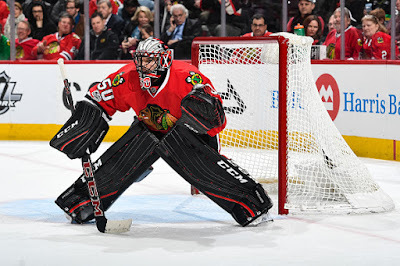 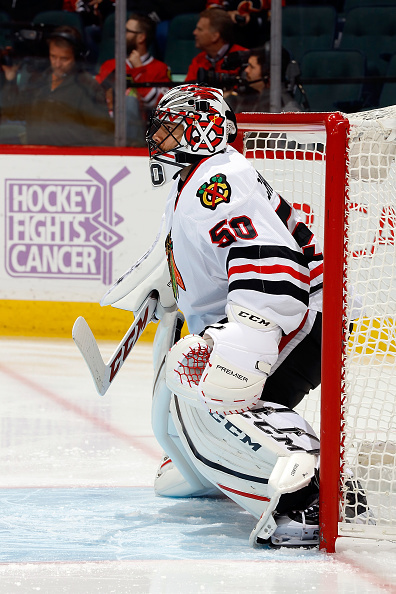 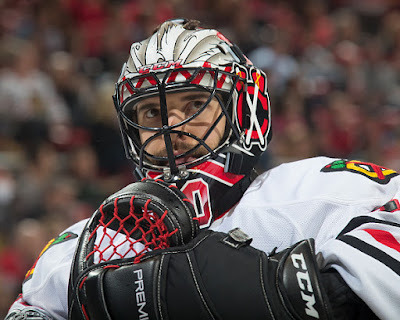 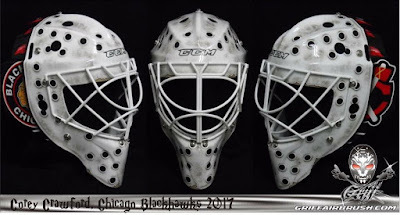 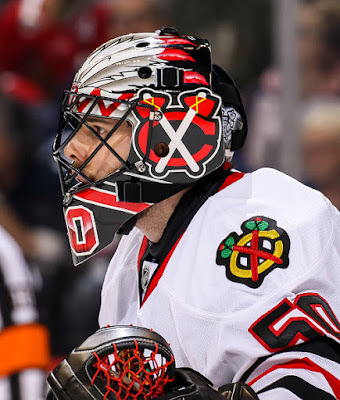 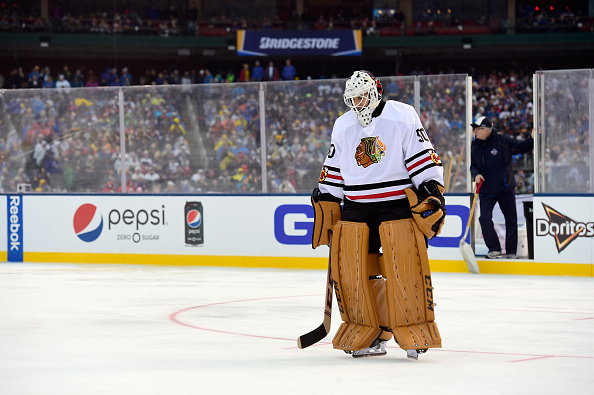 Maybe I'm not seeing the differences, but I feel like Crawford has used the same masks he had last season. 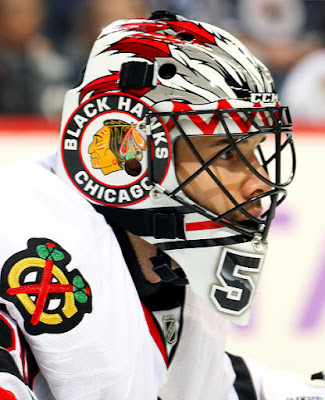 He seems to have two (and a 3rd counting the Winter Classic one), and for a while it seemed he wore one at home and one away. 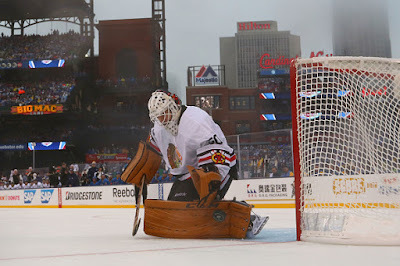 But lately I think that might have changed, but here are the photos I could find from this season.